by Staff Writer Sarah B.
ISKL students took part in a poetry cafe at Sunway International School this past weekend. 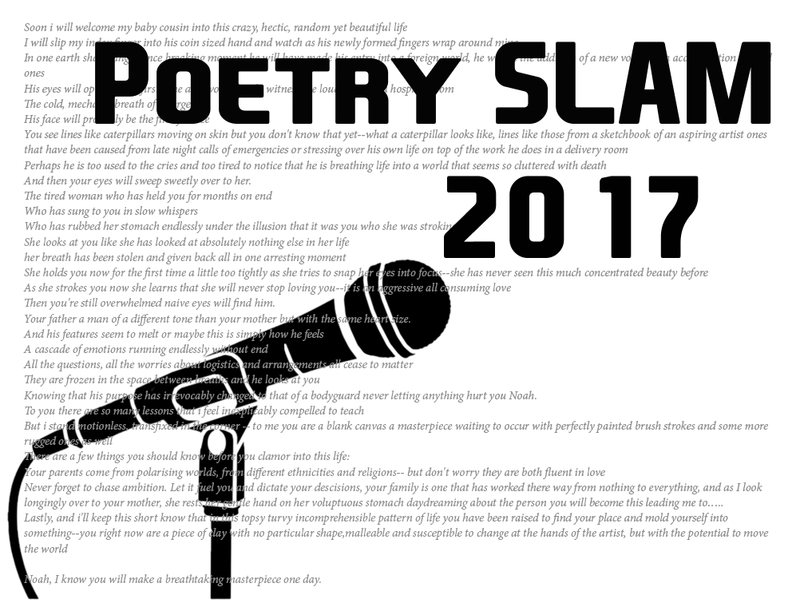 The event was supposed to be a poetry slam (competitive competition) but due to the smaller number of participants, it was downsized to a poetry cafe. This didn’t deter our 17 representatives, as even two Grade 3 readers were taking to the stage. The venue was very creative, and resembled a cute, darkened cafe. Many tables were set up, each with a little lantern. In the back there were homemade treats by one of the Sunway International School food classes. A combination of around 30 performers, from both ISKL and Sunway International School, courageously went on stage and shared their poetry. The poems were all filled with emotion, centered around different themes of love, politics, and even body issues. With such a caring environment, people felt free to take risks, and put themselves out there.